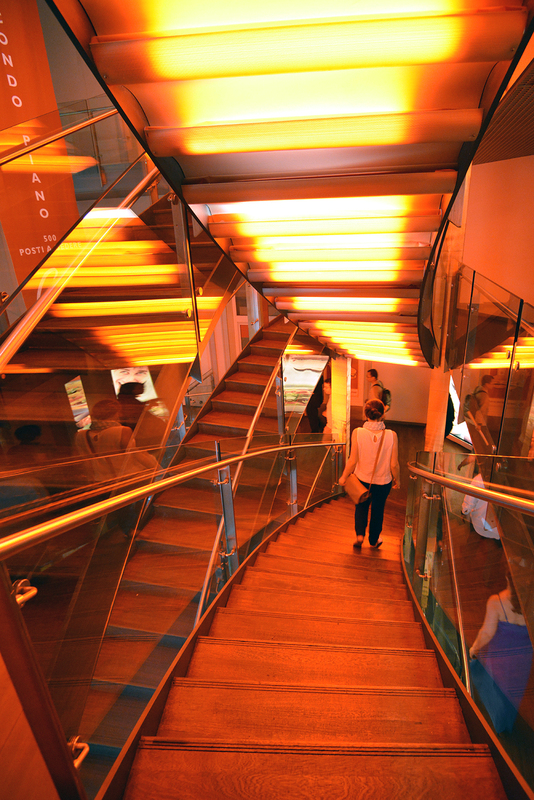 In the 80’s the city of Milan was described in a popular advertisement as “the city to drink” – this was the way businessmen working in the city finished the day. 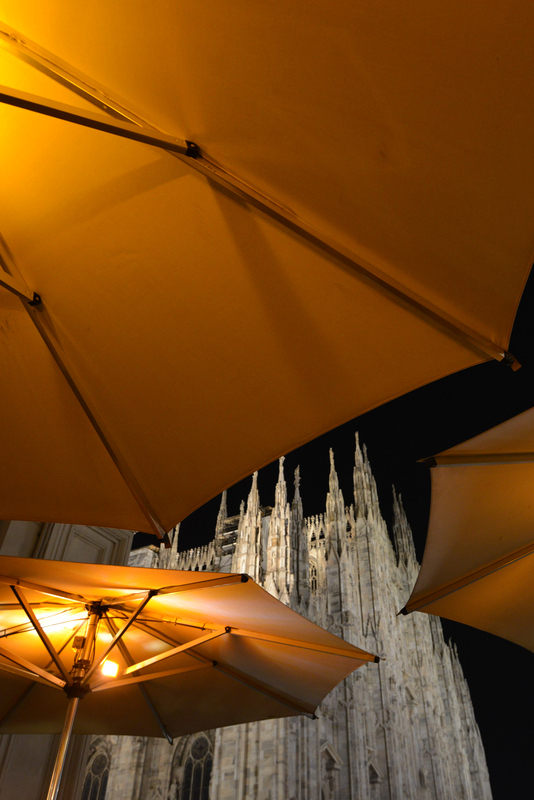 I don’t know about businessmen drinking habits in 2014, but thanks to a couple of terraces close to the center square, the visit to Milan cathedral “Duomo” can be now extended with a pleasant drink. 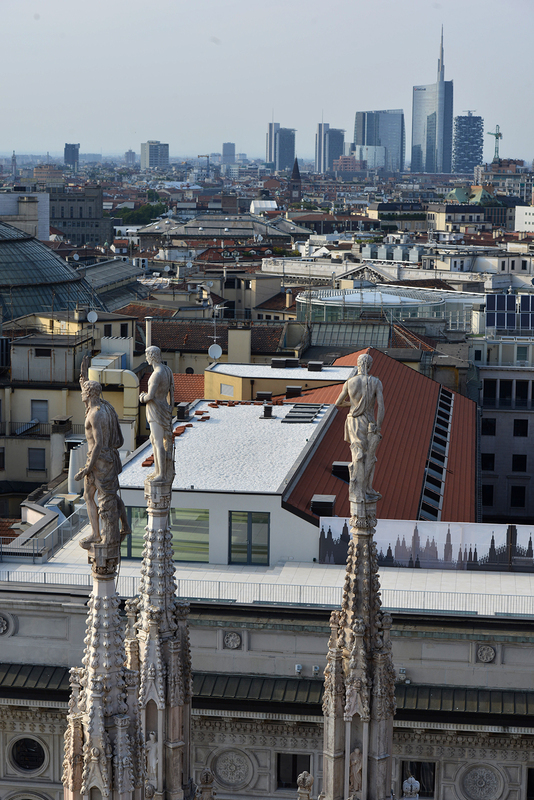 The new Milan skyline from the roof of the Cathedral Duomo. 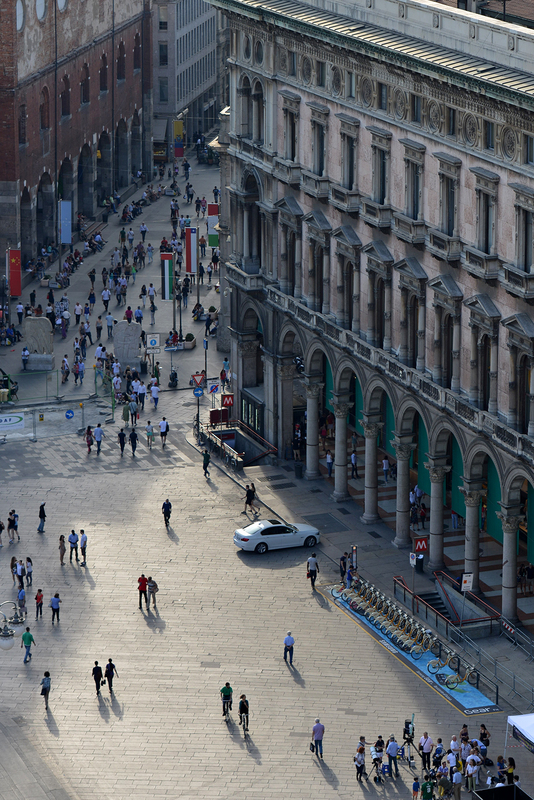 Workers going home and tourists going out in the Duomo square. 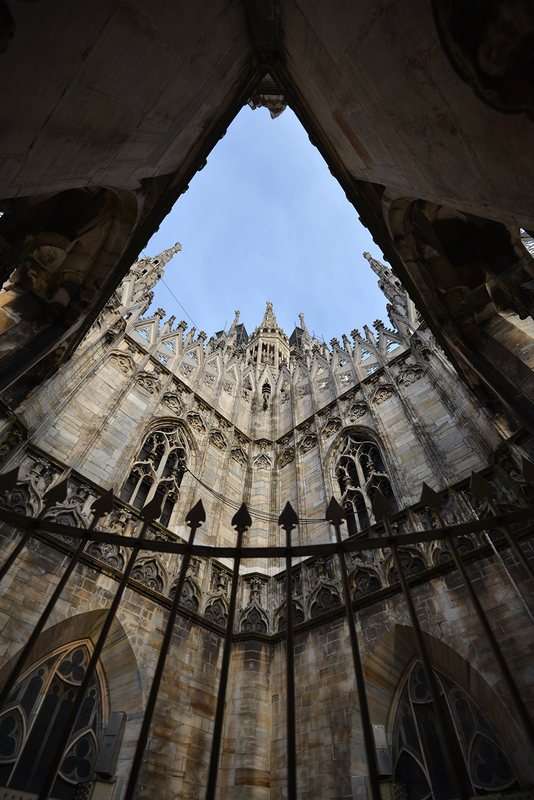 A wide view to the top of the Duomo from its roof. 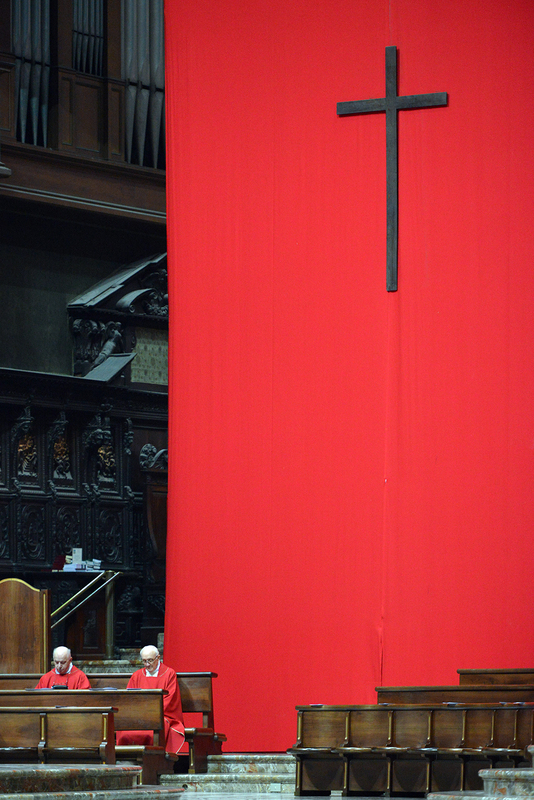 Inside the Duomo, a religious celebration. 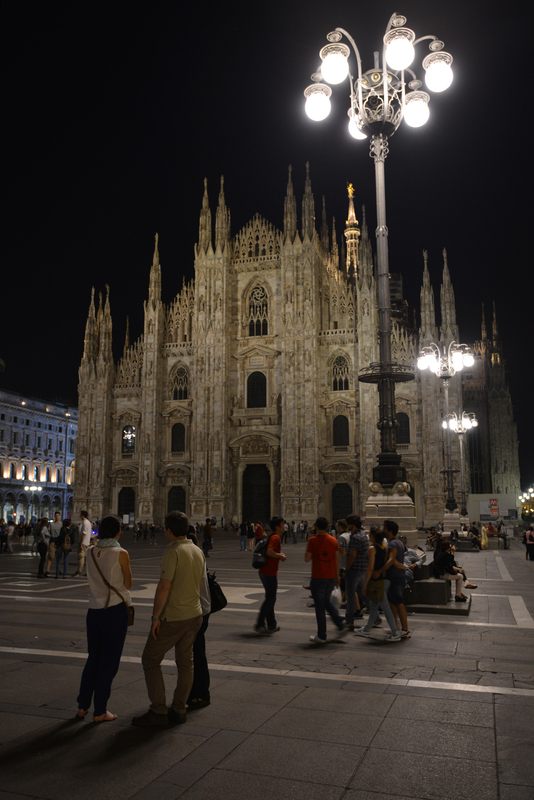 From the Aperol roof terrace, a night view on the Duomo.